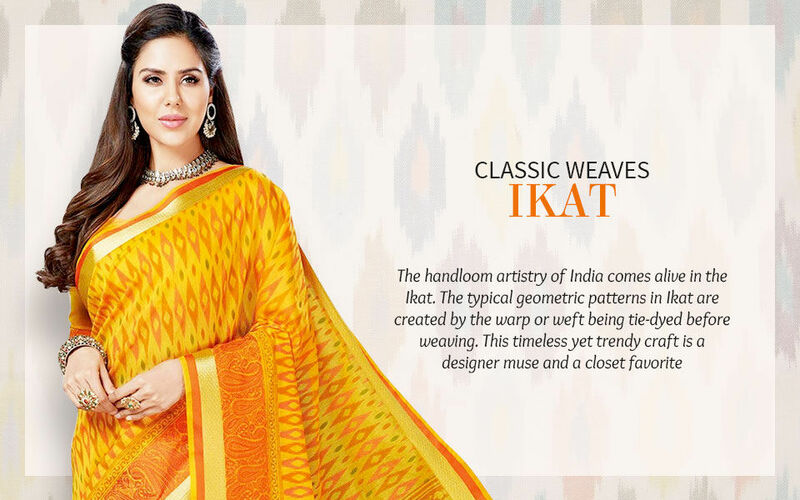 Ikat's vivid colors and aztec patterns make it an extraordinary weave. This dyeing technique is making an inroad to ooze the feel of good nostalgia. It's tribal and springy demeanor is what has made it a darling among fashionistas. Fashion - forwards who resonate with 'Sustainable Fashion' & Bohemian vibes would pay attention to this magical warp and weft beauty.